The purpose of this assignment was to take a classic computer game from the 80s and 90s and generate ideas for how the game could look today. The hypothetical situation being that a company had bought the rights to the game and wanted to make a new version of it. Thought had to be put into the games style, asset creation and print media and how this would affect how the game would be made. This report will evaluate how the final products turned out and give a critical analysis to anything that worked well and any short comings that were found. At the start of this project I was a bit apprehensive as I struggled to come up with a game that I would like to update. Especially since a lot of games from my childhood have either been remade or had graphical updates. 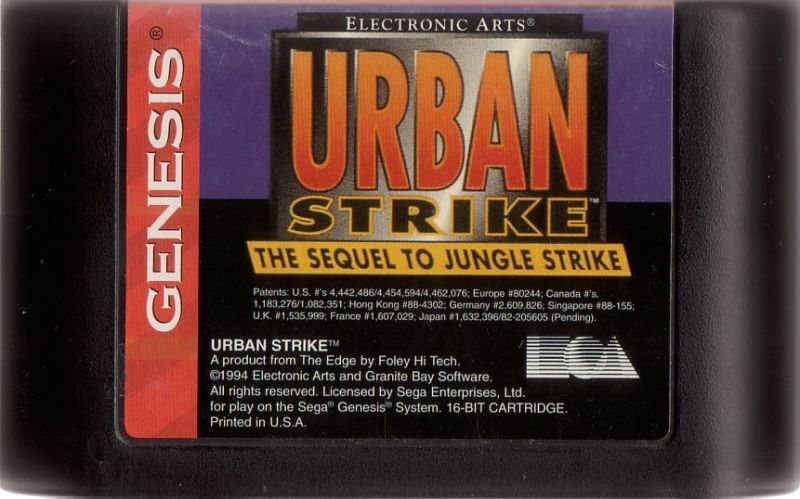 After spending a lot of time thinking about it I came up with Urban Strike, one of the first games I ever played. After doing some research I found that there was no remake of this game and would provide me with a blank slate in which to generate ideas. One thing I did find particularly difficult was how to go about this in a way that would be suitable to an employer as I don’t have that experience yet. I find that drawing for me is something I don’t overly enjoy and I would much rather work straight into Photoshop but I decided to give it a go. I don’t think that my drawings are something that could be used in a professional environment and is definitely something I want to work on. I also feel that I could’ve done a lot more ideas generation for this project and show a lot more of my working, I have a tendency to work from my head and this is something I am not used to yet as a designer. I am fairly pleased with my final designs especially the environment design. It took me a long time to complete but taught me some new skills and improved others. I feel as though my designs although they may be rudimentary with a few tweaks could be used as a basis to create something more professional. In conclusion I do feel I could have done much better. I’m a little disappointed with my ideas generation. But I feel like the final pieces of my work have turned out copacetic. Here is the final design of the CD and the box art, I managed to obtain templates from VG Box Art a Useful tool and resource for creating CD’s and Box art. I wanted to stick with the theme of Cel-shaded theme for these items because it would give a clear indication of the art style to the audience. I kept a simple background for the cover to make it easier on the eye and so that it doesn’t detract from the main focal point of the cover which is the helicopter. I feel that its fairly similar to the original cover and will be instantly recognisable to fans of the original game. My initial design specification said about it being a downloadable game but I decided to include a cover as a form of distributable print media. Here is a visualisation of what a level in the game would look like. I used 3D modelling software to render a simple series of shapes to use as the buildings. This was very useful as it enabled me to plot lighting and shadows without trying to determine it from scratch. It also gave me the perspective I was after and saved me a lot of time on the final piece. Once I had the render blocked out I took the render into Photoshop and used a mixture of hand painting and texture blending. I am fairly happy with the results of this piece as it would easily enable me to visualize how it would work for the actual asset creation and aesthetic of the game. Here is an example of the pause screen UI, again I’ve stuck to the original look and feel but added a cel-shaded style look to it. To get the map I’ve used a Minecraft map I’ve taken a render of. I feel as thought this would work as an actual menu once given a few tweaks and added functionality. Here is a cel shaded render of an Apache helicopter. I feel that it suits the art style and the vision that I wanted to achieve. I feel that with minimal work this would be easy to implement into the final game. 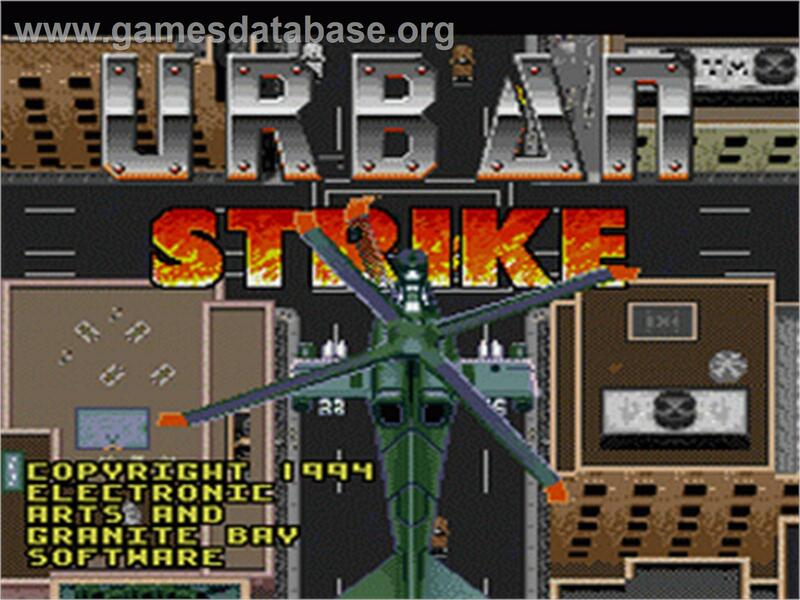 Our client Clayworks Media has recently purchased the rights to the popular 1994 game Urban Strike. This document contains information pertaining to the remake of the classic 1994 game Urban Strike by Electronic Arts. This document will cover information regarding the graphic specifications and will outline the overall vision for our client. The target audience for this game will be people who enjoyed the classic strike series of games and people who enjoy a strategic helicopter based shoot ‘em up between the ages of 16 – 40. The remake of Urban Strike will be aimed at current gen consoles as a downloadable game for Xbox One, PS4 and with plans to release a Nintendo 3DS version at a later date. The design team have chosen to adopt a cel-shaded art style for this project. We feel that cel-shading would give a refreshing feel to the game whilst pulling it up to the 21st century. Whilst we are using a cel-shaded art style it is preferred that each asset created will have a semi-realistic look to it to still give the game a serious feel. Due to the basic nature of the original game levels will need to be rethought and populated appropriately with fauna and other basic objects. Throughout this project we will not have the licenses to copy current military vehicles / weapons as such the design process will have to be screened to make sure we don’t breach this. 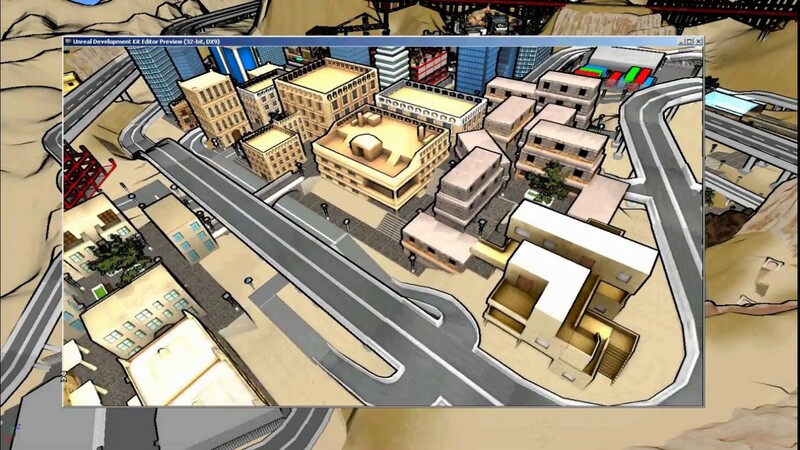 In the original game there was a level where the world trade centre was attacked by terrorists. We must remove this from our version of the game due to the upset this would cause. We must also be careful not to draw similarities between characters in the game and the current political climate in the Middle East. Here are some of my early concept drawings, I’m not a great drawer so these are just simple ideas for me to take into Photoshop and try and make something out of. Ideally when it comes to doing a final paint of these I want to make them appear with a cel-shaded style. I have chosen to stick very closely to the aesthetic of the game utilising objects and imagery from the game itself. 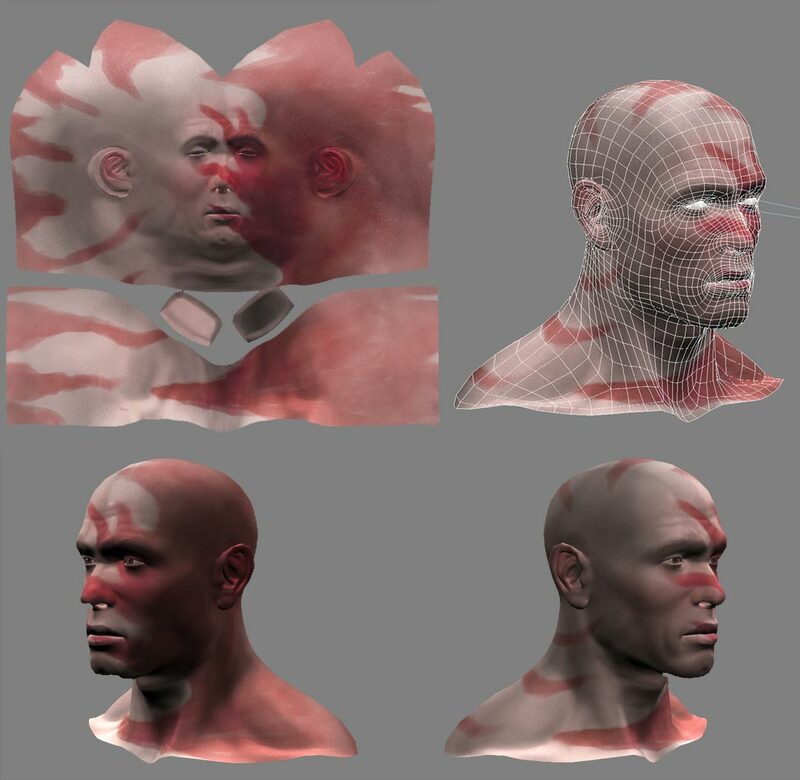 Cel-Shading is a rendering process designed to make a 3D asset more two dimensional. The idea is to make the asset look hand drawn with almost comic like features. This style is often used in games that are less serious and more fantasy based. 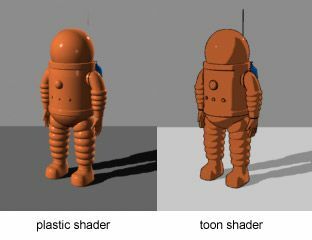 Cel-shading has two defining characteristics, these are the Strong black outline often at the edges of a model to simulate drawing lines, and block shading whereby the colours within shadow don’t blend together. 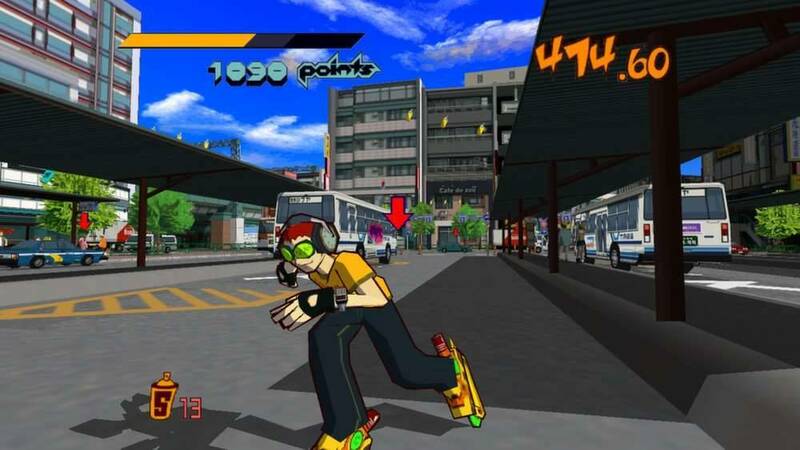 The first commercial release of a game featuring cel-shaded graphics was Jet Set Radio released in 2000, so this technique is still fairly new to the gaming world. Raul Reyes Luque. (2012). What is Cel Shading?. Available:https://raulreyesfinalproject.files.wordpress.com/2012/12/dissertation_cell-shading-raul_reyes_luque.pdf. Last accessed 15th Feb 2015. Jennifer Lynn Hachigian. (Unknown). Cel Shading FAQ. Available:http://www.celshader.com/FAQ.html. Last accessed 15th Feb 2015. Here are ideas for scenes and props I would like to use for the various things I would like to recreate. Unknown. (2003). Desert Storm Cover. Available: http://upload.wikimedia.org/wikipedia/en/0/03/Urban_Strike_cover.jpg. Last accessed 2nd Mar 2015. Unknown. (Unknown). Urban Stirke. Available: http://gamesdbase.com/Media/SYSTEM/Nintendo_SNES/Title/big/Urban_Strike_-_1995_-_Electronic_Arts.jpg. Last accessed 2nd Mar 2015. Unknown. (Unknown). Urban Strike Cartridge. Available: http://pics.mobygames.com/images/covers/large/1123876171-00.jpg. Last accessed 2nd Mar 2015. Unknown. (Unknown). Commanche. Available: http://www.heliport.de/fileadmin/templates/_img/hubschrauberBilder/Sikorsky—Boeing-RAH-66-Comanche/large-Sikorsky—Boeing-RAH-66-Comanche-4.jpg. Last accessed 2nd Mar 2015. Unknown. (Unknown). Apache Helicopter. Available: http://upload.wikimedia.org/wikipedia/commons/4/4a/Army_Air_Corps_Apache_Helicopter_Pilot_Prepares_forTake_Off_MOD_45154502.jpg. Last accessed 2nd Mar 2015. I have chosen a cel-shaded art style for my remake. I feel that it would bring the aesthetics up to a more modern era while still keeping the charm of the game. I don’t want it to be a full cartoon effect, but something more along the lines of borderlands. In borderlands they use a more subtle effect to texturing often going for quite a realistic texture and then adding a cartoon shader over the top. Unknown. (2009). Auto Modellista. Available: http://images.lazygamer.co.za/2009/03/auto-modellista.jpg. Last accessed 2nd Mar 2015. Unknown. (Unknown). Max Res Default. Available: http://i.ytimg.com/vi/erkLFP0ySiw/maxresdefault.jpg. Last accessed 2nd Mar 2015. Unknown. (Unknown). Max Res Default. Available: http://i.ytimg.com/vi/eAeD_Qu4bYI/maxresdefault.jpg. Last accessed 2nd Mar 2015. Unknown. (2009). Borderlands 3. Available: https://nailive.files.wordpress.com/2009/11/borderlands-3_090609100432.jpg. Last accessed 2nd Mar 2015. Unknown. (Unknown). Cel Shading. Available: https://s-media-cache-ak0.pinimg.com/originals/7d/34/b0/7d34b0bd39218fe22ff6f29866fd5483.jpg. Last accessed 2nd Mar 2015. Unknown. (2012). Jet Set Radio. Available: http://i.nextmedia.com.au/Galleries/20120921113921_jet%20set%20radio.jpg. Last accessed 2nd Mar 2015. Using a mind map I have quickly wrote down what I want to consider for the design process. The game I have chosen to recreate is the 1994 classic: Urban Strike. 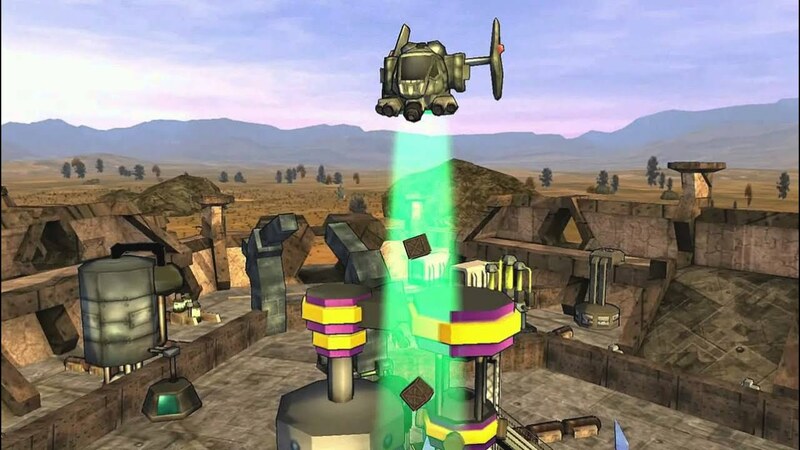 This was one of the very first games I ever played and one of my favourites from memory and would like to see a remake of this game. Urban Strike is a tactical helicopter based shoot ’em up and the last game in the classic strike series. Naughty Dog. (Unknown). The Last of Us. Available: http://www.naughtydog.com/games/the_last_of_us/. Last accessed 15th Feb 2015. Gear Box Software. (Unknown). Borderlands. Available: http://www.gearboxsoftware.com/games/borderlands/. Last accessed 15th Feb 2015. Raul Reyes Luque. (2012). What is Cel Shading?. Available: https://raulreyesfinalproject.files.wordpress.com/2012/12/dissertation_cell-shading-raul_reyes_luque.pdf. Last accessed 15th Feb 2015. Jennifer Lynn Hachigian. (Unknown). Cel Shading FAQ. Available: http://www.celshader.com/FAQ.html. Last accessed 15th Feb 2015. Unknown. (2014). Abstract Art Style. Available: http://www.giantbomb.com/abstract-art-style/3015-1558/. Last accessed 15th Feb 2015. Square Enix. (Unknown). Final Fantasy VII. Available: http://www.finalfantasyviipc.com/en. Last accessed 15th Feb 2015. Unknown. (Unknown). Mega Man. Available: http://coolrom.com/screenshots/nes/Mega%20Man%20(2).jpg. Last accessed 15th Feb 2015. Margaret Rouse. (2010). What is Texture Mapping. Available: http://whatis.techtarget.com/definition/texture-mapping. Last accessed 15th Feb 2015. Gabe687. (2007). Baked Texture Mapping. Available: http://fc01.deviantart.net/fs14/f/2007/069/9/b/Baked_texture_map_by_gabe687.jpg. Last accessed 15th Feb 2015. Microsoft. (Unknown). What is Texture Mapping. Available: https://msdn.microsoft.com/en-us/library/bb976075(v=xnagamestudio.31).aspx. Last accessed 15th Feb 2015. Unknown. (Unknown). Artwork. Available: http://pinballmakers.com/wiki/index.php/Artwork. Last accessed 15th Feb 2015. Unknown. (Unknown). Vector Graphic. Available: http://techterms.com/definition/vectorgraphic. Last accessed 15th Feb 2015. Wayne Fulton. (2007). Image File Formats. Available: http://www.scantips.com/basics09.html. Last accessed 15th Feb 2015. Margaret Rouse. (2005). Lossless and Lossy Compression. Available: http://whatis.techtarget.com/definition/lossless-and-lossy-compression. Last accessed 15th Feb 2015. Diderot Institute. (2015). Motion capture. Available: http://cta-diderot.brucity.be/?page_id=11. Last accessed 15th Feb 2015.